For over 20 years, Hamilton Fine Art and Auction has specialized in providing you with a professional, licensed charity auctioneers who will raise the energy of your event, make your auction fun, entertaining and educational. 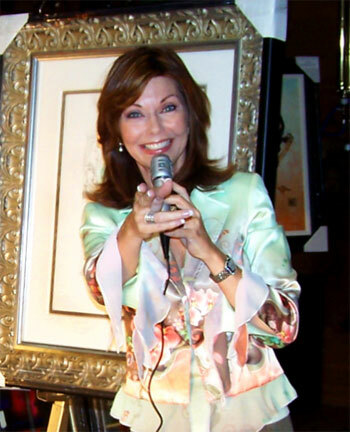 And most of all, our professional charity auctioneer will maximize your fundraising event proceeds. Having the right auctioneer with double your proceeds. Whether you have secured donated auction items, or would like us to provide auction items for your auction event, the main ingredient to raising maximum funds is getting the right person to conduct the auction. Often, groups – perhaps yours is one – rely on local announcers, DJ’s, media personalities, even local politicians to conduct their auctions. While these types of people may have charismatic personalities, it takes a special blend of entertainment, knowledge of the product and specific auctioneering skills to maximize your returns. Even traditional auctioneers may not be specialists in fundraising auctions, so they won’t generate the most revenues at your charity auction. At Hamilton Fine Art and Auction we specialize in providing you with a professional, licensed charity auctioneer who will raise the energy of your event, make your auction fun, entertaining and educational. And most of all, our professional charity auctioneer will maximize your profits! Our benefit auctioneers not only bring a high degree of professionalism to your event, we also provide behind the scenes fundraising consulting from day one to guide your team to planning the perfect event. Our ideas, innovations and expertise have raised millions of dollars for non-profit organizations, charity organizations, foundations, churches, schools and synagogues throughout Florida and across the country. But don’t take our word for it. Let us prove it. Call today and request our list of references; clients who can verify our expertise and professionalism. Whether you just need the specialized services of an excellent benefit auctioneer, or need fundraising consulting or a full turn-key art auction, Hamilton Fine Art & Auction can provide your non-profit organization with a full range of services. Call Toll-Free 800-278-4840 | 954-462-6320 today and speak to one of our trained professionals…and let the bidding begin!